Meribel Village is located lower down the valley from the main villages of Meribel les Allues and Meribel – Mottaret. An old village set on the road between Meribel to La Tania and Courchevel at 1400m above sea level. The village has a number of luxury ski chalets and offers a tranquil ski holiday destination as there is only one resturatant and bar in the village. 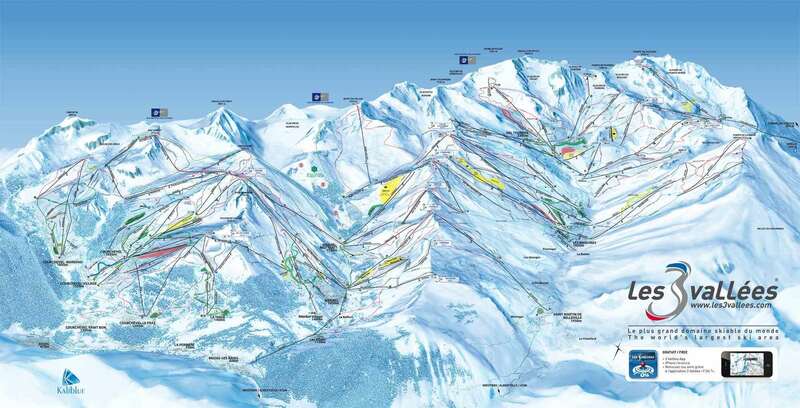 There is access to the slopes and the Three Valleys ski area via a chair-lift that arrives in the Altiport area. For more information on skiing in the area please visit Meribel ski resort guide. The Village is small and quiet. Being very convenient to Golf chairlift. There is one shop, one ski shop, one bar, one minimarket, one bakery and two restaurants. Regular free bus up to Centre or down to Les Allues. Being quiet meant for us no ski lift queue and no skihire queue, ideal.